In 1991, Steven Spielberg took children of all ages on a journey to Neverland, telling the story of what happens when Peter Pan finally grew up. Nearly three decades later, Hook is regarded as a cult classic and one of the most memorable roles in Robin Williams' expansive career. Now Sony Pictures is allowing people to re-experience the magic with a 4K Ultra HD release of Hook, which just hit store shelves this week. To commemorate the occasion, ComcBook.com had a chance to speak with Dante Basco, who played the fan-favorite character Rufio in the film. ComicBook.com: How often do people on the street scream "Bangarang" at you? Dante Basco: A lot. It's kind of weird because I've been Rufio in my life now longer than I haven't been Rufio, you know? Hearing "Bangarang" or people shouting out "Rufio", it could be a daily occurrence sometimes which is crazy. And, I don't really think about it too much because again it's like, you just kind of walk around the world. I notice it more when I'm hanging out with newer friends and they point it out a lot. I'm like, "Oh yeah, yeah, yeah. That happens a lot." But yeah, It's weird. People walking by or driving by even, like how does that happen? You're just walking down the street. So it happens. It could be at least a weekly occurrence depending on where I'm at in time, it could be a daily occurrence. Which is pretty crazy because that was such a long time ago. 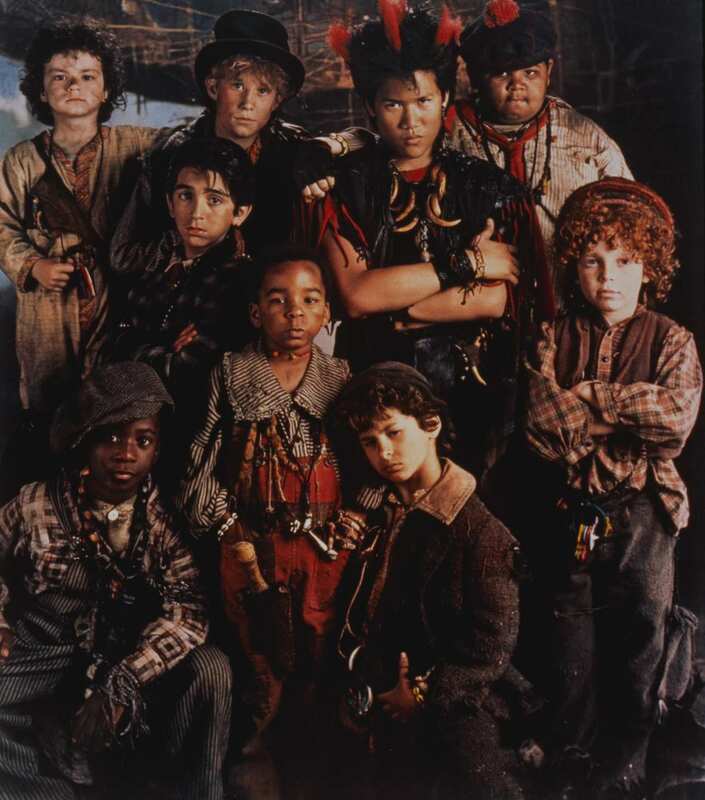 In your opinion, how do you think Hook has influenced geek culture today? It's crazy, because it's one of those films that became this really cult classic film and really for a generation. It means a lot to a big generation. It's one of those films, like I always tell people, growing up I watched Grease every day. I watched, We watched Mary Poppins, Sound of Music, that kind of thing with babysitters, at school when the substitute teacher was there, things like that. And, Hook became one of those films that people watched time after time after time. And, It became a part of the vernacular of the whole generation. People that yelled "Bangarang" at each other or say lines from the movie just in conversation that has nothing to do with the movie. Looking back on your time with Robin Williams and Bob Hopkins, what do those legacies mean to you now? I mean they're great, great guys, both guys were amazing and were amazing to me as a young actor. Working on Hook, it was one of those films that, that's what people come to Hollywood to do. Really it's a dream, a dream project for like, the reason why people get into cars and drive across country, or jump on a plane or a train or whatever, it's to do a film like Hook working with Spielberg at the height of his prowess, one of the greatest director that ever lived. Working with Robin Williams, and Bob Hopkins, and Dustin Hoffman and you're talking about "gods," really, in our industry. You look at legends everyday. It was so impactful to me as a young artist. I'd come to spend my days off to watch these guys work, to be in the presence of greatness and really see what they're doing and how they're doing it. Really, really amazing. I was a fan of Robin Williams since I was a very young kid cuz I love Mork and Mindy and watching films like The World According to Garp, you know, Dead Poets Society before I, which is still among my favorite films, before I got to work with Robin, and being on the set with him and really getting to interact with him and talk to him and such a loving guy. Same thing with Bob Hopkins. The class I grew up in we watched some of his English films before he got to America and did [Who Framed] Roger Rabbit? and things like that, you know some amazing, amazing work and your just a kid trying to a sponge soaking it all up. What did you learn on set, working with Steven Spielberg, that has stuck with you throughout your career? He is Peter Pan in a lot of ways and just working with him in that degree I would just show up on the set on my days off and sit next to Steven, behind the camera, and really see what he was doing and to me I talk about it, I talk to art schools or young actors and tell them the kind have the wherewithal to understand when you are in the presence of greatness cuz it just shut up and witness it and try to absorb it because it's really, and I mean I'm thankful that I had the right upbringing as a artist so I kinda knew what was going on and was able to kinda appreciate what was going on because working with Spielberg especially that time and Hoffman of course and Robin Williams its like sitting in the room being able to watch Pissaco paint a stroke, or watch Mozart conduct a symphony like that's what was going on and even till this day I kinda bring that to the set not just as a actor but also now as a producer. 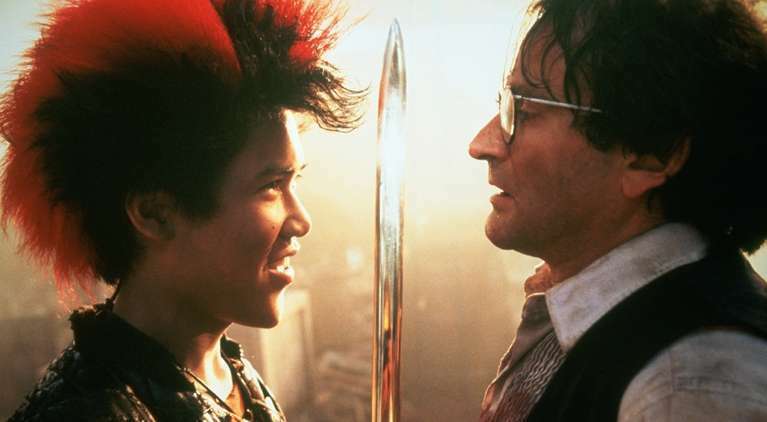 You and filmmaker Jonah Feingold recently looked at the legacy of Hook with the Rufio origin short film, Bangarang, which was updated for today's world. The world's changed. The fascinating thing about that short is Hollywood continued to move on when Jonah Feingold was a, he's a young kid director, USC Grad, approached me at a club, a bar in L.A., a little watering hole called Delilah, and some young buck tapped me on the shoulder, had the poster of Hook on his phone, we end up having a few drinks and he gave me the whole idea what he wanted to do. He was so influenced by the film and when I talked to J.V. Hart who came aboard with us to produce this new concept. We just got a kick of the whole new world of media changing to digital media and all the YouTube stuff going on and these young filmmakers making stuff. We both got a kick of the next generation being inspired by what we did over 25 years ago now and supporting them and going "OK, take the torch let's see where you go with it." And the kid came and said, "We want to do this. Let's put it on Kickstarter." And the audience funded the project in less than 30 hours ... I'm so fascinated about how, how the world has changed and progressed and still being apart of it all is great. Now you have done a lot of video game work. So, I'm just wondering did you ever play the Hook game for Super Nintendo or Sega when it first came out? Yeah, when it first came out I remember going down to Sony and playing the first Super NES version of it and Rufio is the first boss. It was so cool. Recently on my Twitch channel we did a Let's Play of Hook and we tried to get through it. We kinda got stuck, we could not finish the game because it got hard at the end. Some those games there deceivingly hard. You know but yeah it's really amazing to kinda be apart of a video game, seeing yourself in a video game. I think it's one of the coolest things especially as a young actor, actually at any time; even doing my stuff with Avatar merchandising, video games come out and action figures and plushie toys. It really ignites the kid in you. For me, my first fandom was Star Wars. I remember collecting the Star Wars toys and kind of going back now and seeing a kids toys that made in your likeness and characters you've done is still one of the coolest things in the world ... But then I think the most surreal moment. The video game was crazy. I think one of the craziest thing I think was having a Happy Meal toy for some reason. The Happy Meal toy at McDonald's was probably the wildest thing. Hook is now available on 4K Ultra HD.